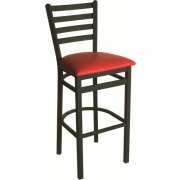 What are bar stools made of? 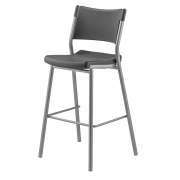 There are an unlimited number of options, with the most popular including wood and steel with attractive upholstery. With a selection of heights, styles and materials, you can get a great fit for your eating space or lounge area. 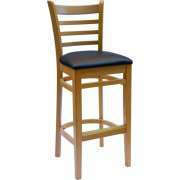 Make sure that you also choose some great tables to go with your new seating. While classic cafeteria furniture does have its benefits, it doesn’t always create such intimate and relaxing eating spaces. With stylish counter height chairs and cafe stools, you can really enhance the ambiance of a space. Having a nice place to sit during meals and breaks will make a big difference in the day of your students and employees. 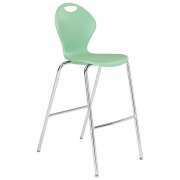 While you can probably use regular chairs in a cafeteria, cafe chairs are ideal if you want individual seating. 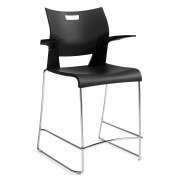 When furnishing an eating space it is important to make sure that everything is easy to clean. Even when adults are using a space spills and crumbs happen, so you want to be sure that your furniture won’t get ruined. 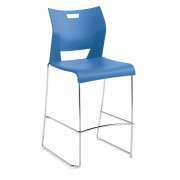 Of course, there are some multipurpose seating options which can be used as cafeteria chairs. These choices are lightweight, flexible, comfortable and easy to clean. Stackable chairs are especially helpful because they are easy to put in storage when the space is used for other purposes or when the floor needs to be cleaned. 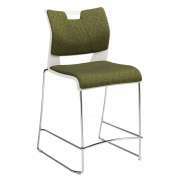 What kind of table fits with bar stools? If you want to use bar stools in your cafeteria or break room, you need to have a bar-height table. 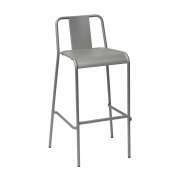 Make sure not to get confused with counter-height stools which are a slightly different height and fit with counter-height tables. Make sure that the stools you choose match the style and height of your chosen tables. 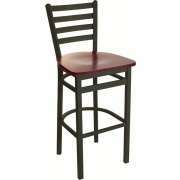 What kind of cafe stools can I get? 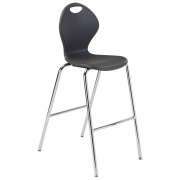 Any of Hertz Furniture’s cafe stools will fit well in a lunchroom or break area. The right choice is a matter of style and budget. Laminate looks like wood but is a more budget-friendly option. 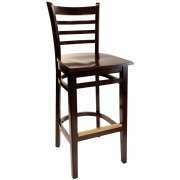 Wooden stools have a natural beauty that will bring a sense of calm and elegance into your space. We also have modern steel bar stools with sleek contours that can help you update the style of your cafeteria. Bar stools create a more private eating area that is removed from all of the hustle and bustle of people walking by. 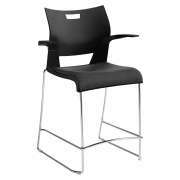 They are ideal for people who want to enjoy a quiet meal together to take a break from the busy day. They also create a nice study space for students who want to get in some last-minute review time before a big test.